In a news story that could have huge ramifications for Hollywood but will probably be ignored because it deals with the decidedly unsexy realm of contract law: According to Variety, author Tess Gerritsen has dropped her lawsuit alleging Warner Bros. used a legal loophole to rip off her novel Gravity for their 2013 film of the same name. A federal judge twice dismissed her lawsuit, and while Gerritsen still believes she’s in the right, she explains in a blog post that she doesn’t have the financial or emotional resources to keep up her David vs. Goliath battle. 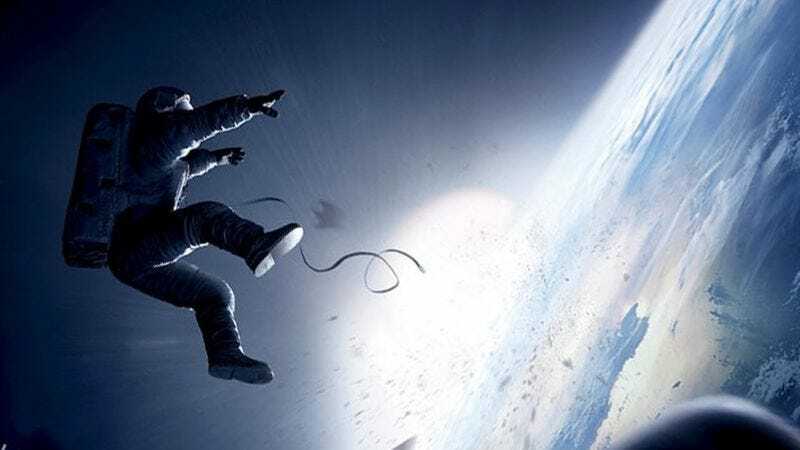 Although both the book and the film follow a female medical doctor/astronaut who winds up stranded alone on a spaceship following a series of disasters, this isn’t a case of copyright infringement. Gerritsen is arguing that a large studio merger gave Warner Bros. the ability to make a film partially inspired by her book without giving her any of the benefits promised in a previous contract. Just before her book was published in 1999, Gerritsen sold the rights for $1 million to Katja Motion Picture Corporation, a subsidiary of New Line. The terms of her sale stated that Gerritsen would receive “a production bonus of $500,000, 2.5 percent of the ‘defined net proceeds’ from the movie, and screen credit.” Her suit further claims that even then Alfonso Cuarón (who would go on to co-write and direct Gravity) was attached to the screen adaptation, although she was not aware of it at the time. The whole case is made even more confusing by the fact that for a while Gerritsen believed the similarities between the film and her book were just coincidental. It wasn’t until 2014 that she realized Warner Bros. owned New Line and began to get suspicious. In their legal statement from last year, Warner Bros. held that timeline against her and also asserted, “Since Katja never ‘produce[d]‘ or ‘release[d]’ the Movie, New Line cannot be in breach.” The studio also argued that the book and the film aren’t as similar as Gerritsen contends. Since the case never got to court, Gerritsen wasn’t allowed to present her arguments in person, nor was she given to access corporate documents that would have clarified the relationship between Warner Bros. and New Line. And since New Line still owns the film rights, she can’t sue Warner Bros. for copyright infringement. This ruling leaves absolutely no remedy for a writer in my situation. Based on the court’s most recent decision, in which it went so far as to make the extraordinary statement that it finds no inequity in this situation, I have no faith in the system or that my case will ever be heard by a jury. In this era of endless studio mergers and acquisitions, how can we writers protect ourselves from those who purchase our intellectual property rights and make promises but later voice no objection when their parent companies or affiliates take control and circumvent those promises? I’m afraid the answer from this court is clear: we cannot. Those who want to learn more about the case from Gerritsen’s perspective can read her post from January explaining the larger ramifications of the lawsuit on all writers who make deals with Hollywood.